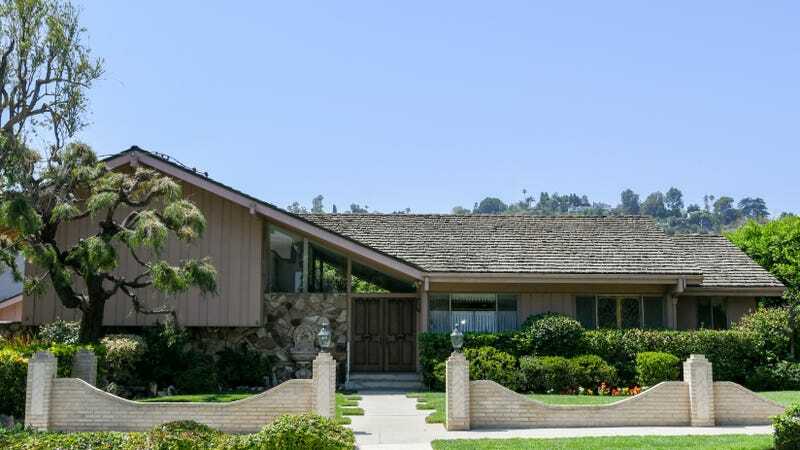 Ah, The Brady Bunch house. Who could forget that floating stairway, open-air dining room and sitting room years before that was fashionable, orange-paneled kitchen, and cramming six kids into two bedrooms and a single bathroom? That house still stands in Studio City, California, where previous occupants have no doubt been annoyed by various tourists driving by (guilty). But recently, it was announced that the Brady house was for sale, for a mere $1.88 million. Even better, former ’N Sync member Lance Bass was in the running to buy it. But even Lance Bass can’t stand up against an entire reality TV network; Bass’ north-of-asking offer was topped by a mystery buyer a few days ago. Now Deadline reports that HGTV is the new proud owner of the Brady house, and even has plans to transform it into its former glory “and will likely feature it in one of its popular home remodeling shows.” Said Discovery CEO David Zaslav during his announcement (via this morning’s call with Wall Street analysts), “We’ll bring all the resources to bear to tell safe, fun stories about this beloved piece of American TV history.” The Bradys were nothing but safe and fun, so the adjective usage here is a little odd. The house itself (unlike the set), contains only two bedrooms but three whole bathrooms, so whatever HGTV show tackles this project has its work cut out for it. But still: Welcome back, orange paneling. Time to hit the thrift to search for some groovy macrame wall hangings, glow-in-the-dark butterfly posters, and sad clown paintings.